The 12.7mm semi-automatic OSV-96 sniper rifle, developed by the world-famous renowned Tula armorers, has been used by Syrian Special Ops units since the start of the civil war and has become a go-to weapon due to its great accuracy and reliability. It is notable for its ability to fold in half for easier transport. The Syrian armed forces acquired this high-precision weapon before the civil war broke out in that the country, but it wasn’t until July 2012 that word about the OSV-96 being used in Syria appeared in the media, during gun battles fought in Haffa. — Komandante (@KomandanteS17) 27 февраля 2018 г. The Russian sniper rifle OSV-96 has become a weapon of choice for Syrian Army commandos. 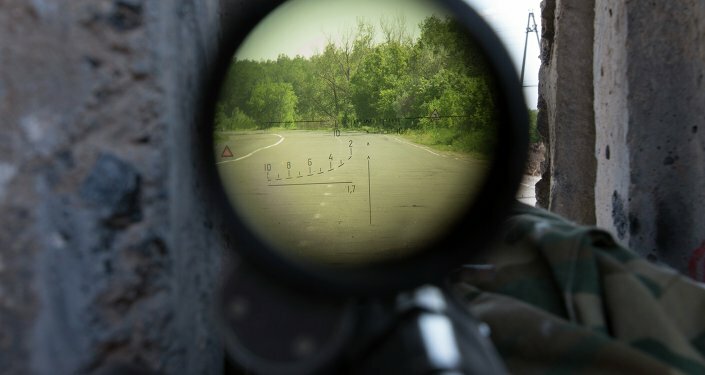 ​It was during street battles in the city that the OSV-96 revealed itself to be a great advantage, with its powerful 12.7mm bullet making easy work of walls enemy snipers were hiding behind. Unprotected targets were taken out at a distance of 1.8 kilometers (1.1 miles). The ODV-96 is supplied with day and night scopes. Its rate of fire is 10 rounds per minute. Cartridge capacity – 5 rounds. Weight (without optical sight) – 11.7 kilograms.